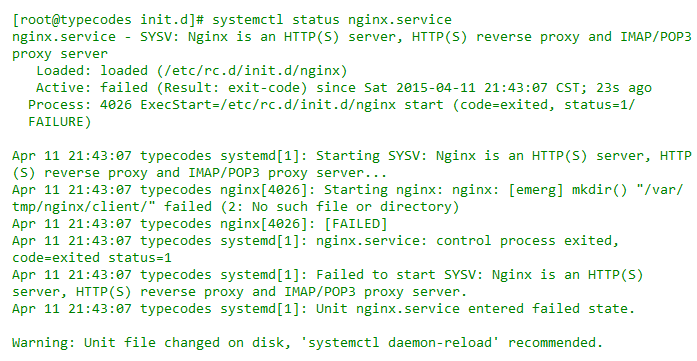 Starting nginx (via systemctl):  Warning: Unit file of nginx.service changed on disk, 'systemctl daemon-reload' recommended. Job for nginx.service failed. See 'systemctl status nginx.service' and 'journalctl -xn' for details. Restarting nginx (via systemctl):  Warning: Unit file of nginx.service changed on disk, 'systemctl daemon-reload' recommended.